Day 22 asks me what simple things give me pleasure, inspiration, and support for my condition. I can think of many things! Just this morning, I felt inspired by seeing the red equality signs all over facebook. 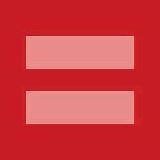 In support of the gay marriage rights cases going on in the Supreme Court, many people, including myself, have replace their regular profile with this red equality sign. It's such a simple thing, but it really does help me feel less alone. Approximately 5% of my facebook friends are using this sign as their profile picture and while that is a small number, it is enough to offer me comfort and solace. Feeling not isolated and alone goes a long way towards creating good mental health and it also reminds me of how wonderful I felt the first time I didn't feel alone in my diagnosis. It happened for the first time in 2005 when I attended Skyland Trail for eight months. I was diagnosed with schizoaffective disorder at the time and I felt very alone and embarrassed, because I had never met anyone with my condition before. At Skyland Trail I met many individuals with schizoaffective disorder and we would talk about our shared difficulties. It was so wonderful to be able to talk with another person who absolutely understood what I was experiencing! 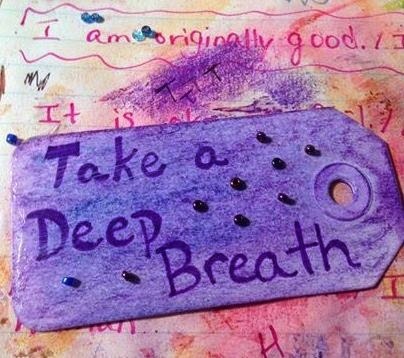 The second time I had that experience was when I took the dialectical behavior therapy class (DBT) class last year. DBT was designed specifically to help those who have borderline personality disorder (BPD) and the class I took had a mix of people who did and did not have it. Once again, it was incredibly validating to be learning coping skills with other people who struggled in the same way that I did. We didn't glamorize our problems or our negative coping mechanisms, but we offered each other support and praise when talking about a current problem or a current victory. This prompt is also timely, because I just finished talking with my therapist about how I've had a lot of little victories lately that while they may seem insignificant to the average person, are actually very significant to me. 1. The major mental health website, Psyweb.com, contacted me about featuring my blog in their "blogs" section and to feature my "recovery story" in their "articles" section. 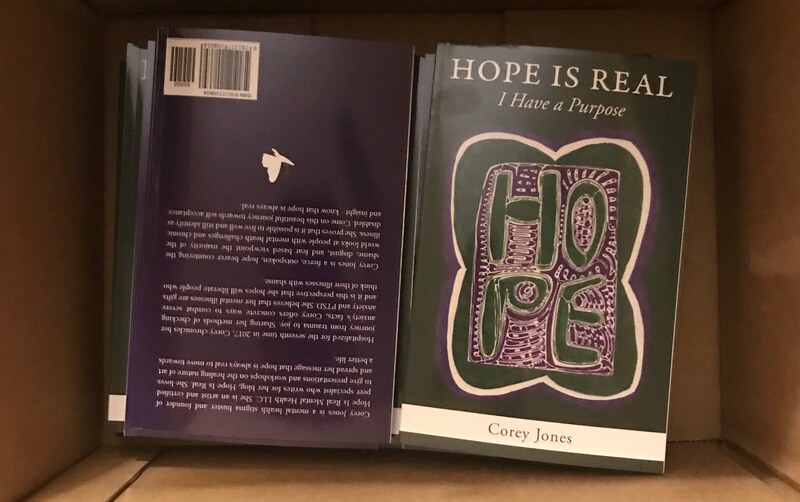 I wrote my story down, sent them a link to Hope is Real!, a profile picture to use, and a short bio. I am very excited about getting this extra exposure and it really validates all the time and work that I have put into this blog. I'll be sure to let you know when my writing is added! 2. I got invited to attend a fair trade luncheon this weekend﻿ for free as long as I write about it on my blog. Why would I turn down free food?! Even though this is not a fair trade focused blog, it is indeed something that I very much support and it feels nice to be asked to write about it. 3. Even better than these two things is the fact that I have had continuous energy for about a whole month! I can't remember a time when that has happened before! It used to be that the most I could hope for was about four days of productive energy in a row, but with the Spring weather, the decrease in my medications, and my new, more positive outlook on life I have now had many days where I did not need a nap and have been able to be productive all day long. This is a major accomplishment!!! 4. This one may be the victory that seems the smallest, but may well be the largest, is the fact that I have been able to keep my room clean for about a month too. Ever since I first experienced depression in my teens, I have never been able to keep my room clean for more than a week at a time. I worried that I was incredibly lazy or even that I had some kind of processing disability that prevented me from knowing how to clean my room. Now that I have more energy and am not depressed, I have come to understand just how awful anxiety and depression is. Anxiety and extreme fatigue made me feel overwhelmed at the thought of doing just about anything-even getting out of bed in the morning was tortuous! To be able to clean my room was to possess an amount of energy that I just did not possess. Now that I have more energy, I no longer feel overwhelmed by the thought of maintaining a clean space. This gives me hope for the future, because one of the concerns my family has had was that I would not be able to keep my apartment clean enough if I lived on my own. If this increase in energy continues, then that worry may be a thing of the past and that feels incredibly good! 5. Lastly, the sun is out and Spring is here. Words cannot express how much feeling the sunshine and seeing the flowers bloom helps me. Spring wakens me and provides me energy. It lifts my spirits. I feel energetic and joyful-my therapist told me today that I looked "light and airy" and for the most part, I do. Blessed be! What simple things provide you with inspiration and what small victories have you accomplished lately? Let me know!